The effects of nutrient availability on the transcriptome of cardiac and skeletal muscle tissues were assessed in juvenile gilthead sea bream fed with a standard diet at two feeding levels: (1) full ration size and (2) 70 % satiation followed by a finishing phase at the maintenance ration. Microarray analysis evidenced a characteristic transcriptomic profile for each muscle tissue following changes in oxidative capacity (heart > red skeletal muscle > white skeletal muscle). The transcriptome of heart and secondly that of red skeletal muscle were highly responsive to nutritional changes, whereas that of glycolytic white skeletal muscle showed less ability to respond. The highly expressed and nutritionally regulated genes of heart were mainly related to signal transduction and transcriptional regulation. In contrast, those of white muscle were enriched in gene ontology (GO) terms related to proteolysis and protein ubiquitination. Microarray meta-analysis using the bioinformatic tool Fish and Chips (http://fishandchips.genouest.org/index.php) showed the close association of a representative cluster of white skeletal muscle with some of cardiac and red skeletal muscle, and many GO terms related to mitochondrial function appeared to be common links between them. A second round of cluster comparisons revealed that mitochondria-related GOs also linked differentially expressed genes of heart with those of liver from cortisol-treated gilthead sea bream. 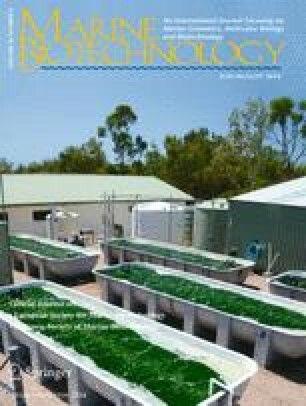 These results show that mitochondria are among the first responders to environmental and nutritional stress stimuli in gilthead sea bream, and functional phenotyping of this cellular organelle is highly promising to obtain reliable markers of growth performance and well-being in this fish species. The online version of this article (doi: 10.1007/s10126-014-9562-3) contains supplementary material, which is available to authorized users. This work was funded by the EU seventh Framework Programme by the AQUAEXCEL (Aquaculture Infrastructures for Excellence in European Fish Research, FP7/2007-2012; grant agreement no. 262336) project. Additional funding was obtained from the Generalitat Valenciana (research grant PROMETEO 2010/006) and the Spanish Government through AQUAGENOMICS project (Consolider-Ingenio-2010 Programme).